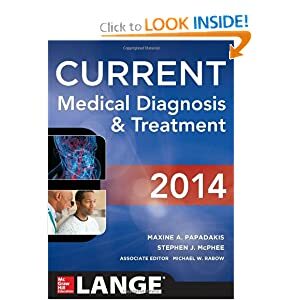 Written by clinicians renowned in their respective fields, CMDT offers the most current insight into symptoms, signs, epidemiology, diagnosis, and treatment for more than 1,000 diseases and disorders. You'll find concise, evidence-based answers to questions about hospital and ambulatory problems. This streamlined clinical companion is the fastest and easiest way to keep abreast of the latest diagnostic advances, prevention strategies, and cost-effective treatments.